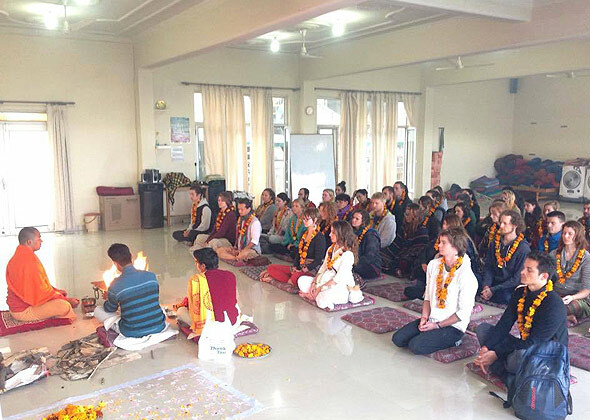 The 200 Hour Yoga Teacher Training program at Shiva Yoga Peeth in Rishikesh, India is intended for people with a great skill development interest that are looking to explore it. The course touches each area of yoga and is led by instructors with a solid knowledge of yoga who use their time to present accurate yogic theory. Completing this program will be an incredible metamorphosis for you. The courses included in the program will strengthen your own practice allowing you to use your own experience to start teaching others with confidence. Shiva Yoga Peeth is a registered organization by Government of India, Yoga Alliance International. This is a world class training institute perfect for both yoga beginners looking to improve their health, happiness, peace and harmony and for those who want to acquire yoga as profession. 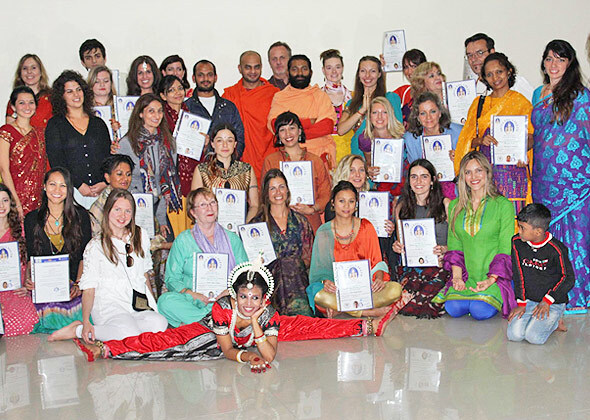 After successfully completing the Yoga Teacher Training program, the certificate provided is valid all over the world for you to begin your new calling! As you develop your spiritual and physical practice, Teaching Methodology then assists you teach what you yourself are practicing. We firmly believe that being a strong practitioner in each of these will give you the grounding and foundations to becoming a successful and confident yoga teacher. Take your first step into something that can change your life. In one month, you’ll finish this training with the necessary tools, skills and insights, to guide you on your journey. One of the things that’s so rewarding about these 200 hrs intensives, is that each one of us comes to the mat for something different. Our journey is unique to ourselves, yet for 30 days we learn and grow together, become part of the same energy. You will learn to create flows for a variety of class types. Explore what works best for your body. This course offers a complete study of the eight limbs of yoga based upon the Yoga Sutras. Our training is devoted to helping Yoga Teachers teach to all walks of life. Our motto is “yoga for all” Our asana technique explores contemporary principles of alignment and safety, while honouring our students’ need for creativity, freedom, and self-expression in their practice. Study various asanas and the technique of teaching the postures, the benefits of each posture, modifications, contraindications, and the use of props. Sitting poses, forward bends and hip openers. 2) Adjustment: Learn how to adjust these asanas and understand how adjustment can deepen your practice. 3) Pranayama (Breathing Techniques): These are based on traditional yogic breathing techniques which will benefit your yoga practice as you learn how to lengthen your breath. How to incorporate breathing into postures and into your classes. How breath work assists the body. 4) Shatkarma (Cleansing Techniques): These yogic cleansing practices will be integrated into the daily morning schedule and will work in conjunction with the asana practices. These will purify the nervous system and allow your breath to flow freely throughout the body. In expelling toxins from the body, we therefore cleanse it. 5) Yogic Mudras (Energy Seals): Stimulate different parts of the body by sealing in the energy. These are usually used in Pranayama and affect the flow of prana. 6) Bandhas (Energy Locks): How they regulate the flow of energy and assists the practitioner in asana. 7) Meditation: You will cover a range of meditation techniques that will help build concentration and focus in your daily practice. Techniques include Om Chanting, Chakra, candlelight Meditation. 8) Mantras (Chanting): A range of mantras will be taught including the Gayatri Mantra and many more. Find your inner harmony in these sessions. Yoga and Skeletal System, Brain & Nervous System, Respiratory System, Digestive System, Cardiovascular System. Effects of kriya, Pranayama, Asanas and Meditation for various disorders. Subtle Body Anatomy of the chakras, nadis and the application of chakras energy in the practice of Yoga. Introduction to Ayurveda & Yogic Diet. This class will focus on introducing you to the basic philosophy, concepts and history of yoga. It will cover the various traditional philosophies and viewpoints, insights from modern research and ways in which the essence of this holistic life-view can be integrated into a modern lifestyle. Yoga Sutras (Preface of Patanjali’s yoga Sutra): Study this important text based on the 8 limbs of Ashtanga Yoga. Discover the theory and foundations of yoga as Patanjali describes how to make a connection with the body, mind and spirit. And many more attractive Asana poses along with this traditional poses.And 45 Asana for final exam. Each student’s social behavior is of great importance. Student’s will be assessed on thier behavior and these behavioral observations will be considered in thier Yoga Teacher Training certificate. Prayer has its own significance and it is desirable that students take part in it with a full appreciation. The food offered at Shiva Yoga Peeth is vegetarian and based on the sattvic diet. The Confirmation Fee of 210 USD must be paid in advance and is non-refundable.